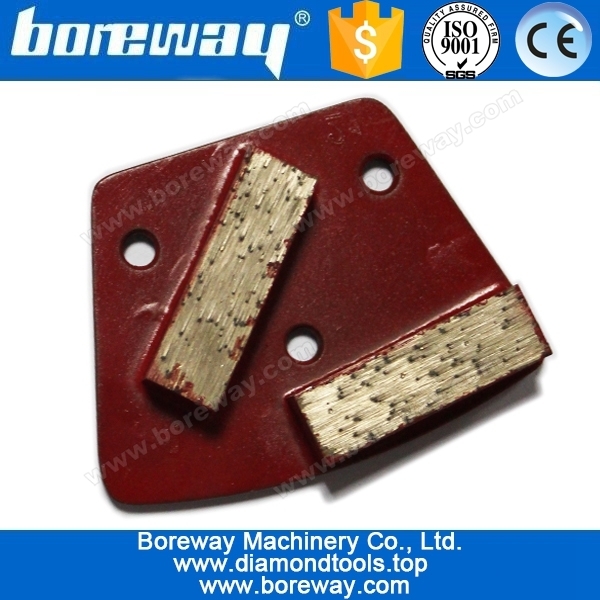 Applications:	Segmented diamond grinding block is used for grinding concrete floor. Segmented diamond grinding block for concrete floor have longer life and performs better under heavier machines. These configurations along with our field tested bonds and assortment of grit sizes give you the perfect balance of production and performance. The specifications only for reference, other specifications can be customized. Send your inquiry to our good quality Segmented diamond grinding block for concrete floor products.